Go for gold with with this charming arrangement! 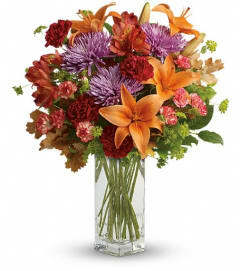 Classic red roses, bright orange roses and soft peach asiatic lilies are accented by millet and oregonia for a delightful autumn touch. 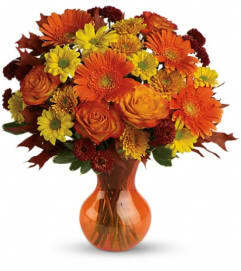 Delivered inside the lovely Autumn Beauty Vase, it's a beautiful keepsake that adds character on Thanksgiving and beyond! Lovely red roses, orange roses and peach asiatic lilies are accented by lemon leaf, oregonia, millet and autumn oak leaves and perfectly arranged to serve happiness. 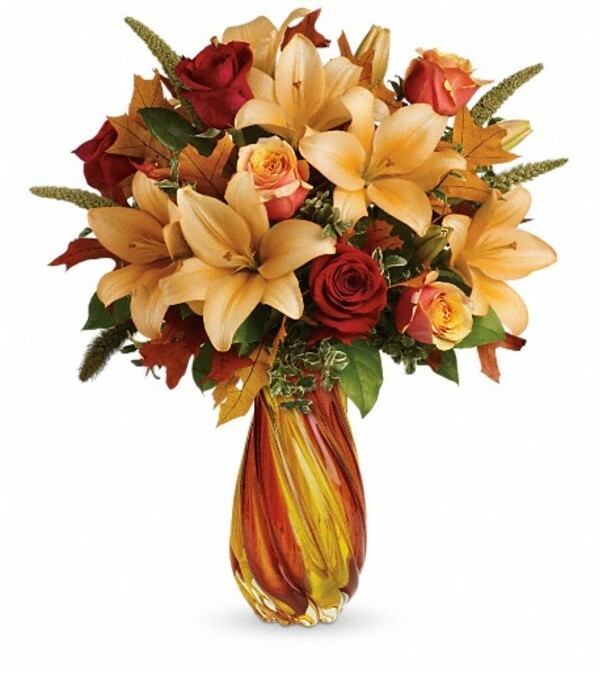 Delivered in an impressive hand-blown art glass vase.